LG Electronics has officially jumped into the Chrome OS market. The electronics giant announced Tuesday that it would be unveiling its all-in-one Chromebase desktop computer during the upcoming 2014 Consumer Electronics Show. 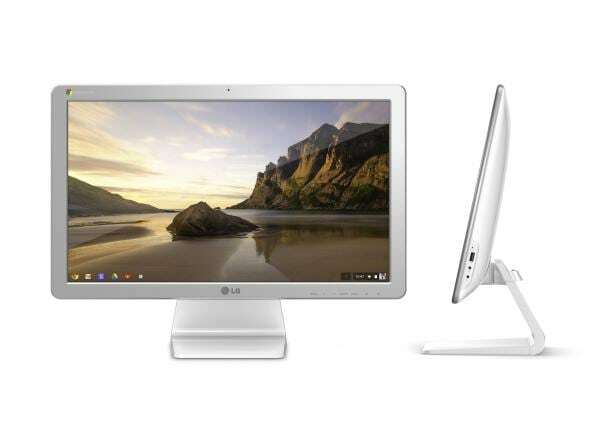 The Chromebase will have a full HD IPS display on its 1080p 21.5-inch screen. It will come with 2GB of memory, 16GB of storage, and an Intel Celeron processor. Also included will be a 1.3-megapixel webcam and microphone for video calling, 5-watt speakers, keyboard, and a mouse. The fact that LG has been working on a device to run Google’s Chrome OS isn’t that surprising. In January 2012, the company signed a deal with Microsoft allowing it to use operating system patents for devices running Android and Chrome OS. LG has also already teamed up with Google to create the Nexus 4 and Nexus 5 smartphones. It’s still unclear when Chromebase will hit the consumer market or how much it will cost. Given the lower prices of other desktops and laptops that run Chrome OS, like Chromebooks, chances are the Chromebase won’t be over-the-top expensive.